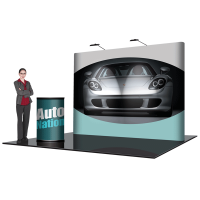 Everything shown breaks down and fits in Hard Case Podium for easy transport. 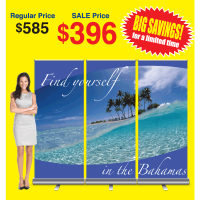 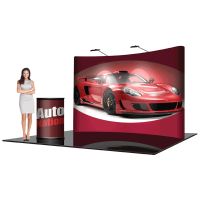 • 8' Curved dimensions 102" wide x 94" tall including lights. 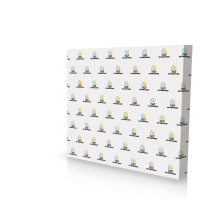 Please refer to template for file preparation. 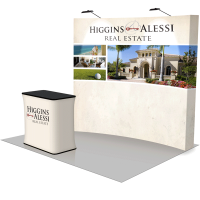 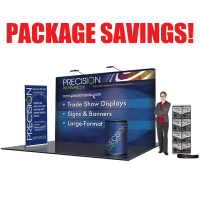 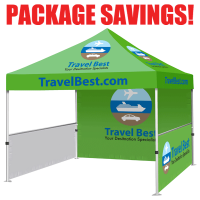 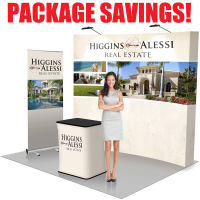 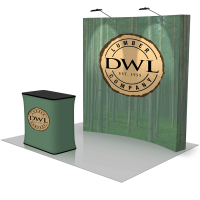 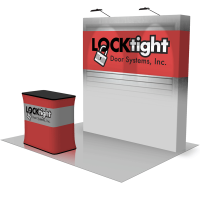 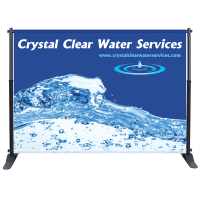 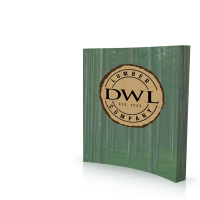 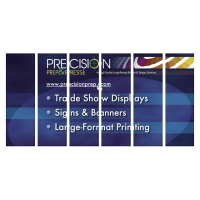 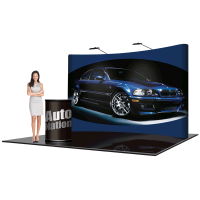 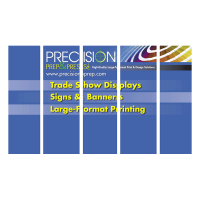 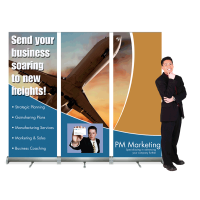 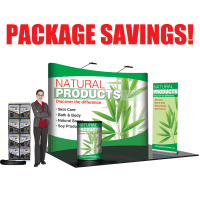 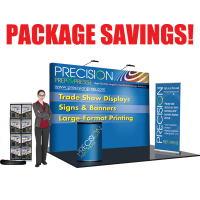 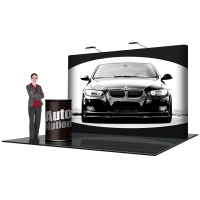 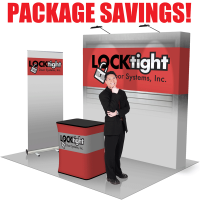 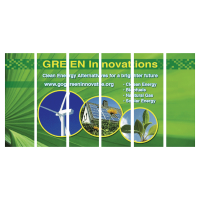 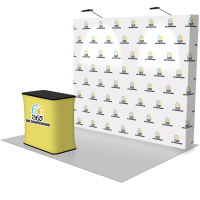 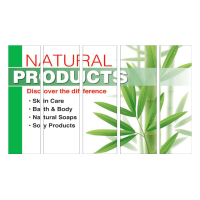 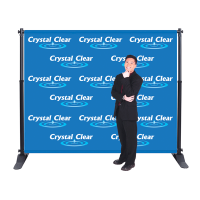 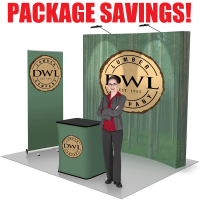 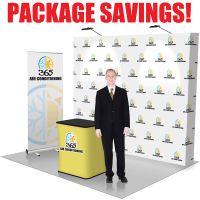 • 3' Economy Pop-Up Banner Stand with printed banner, all necessary hardware and nylon carry bag. 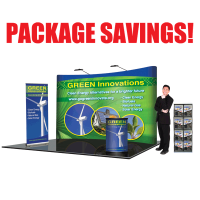 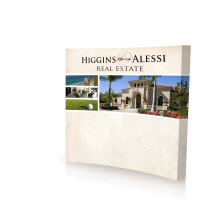 • 8-Pocket Mesh Brochure Stand. 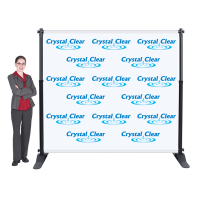 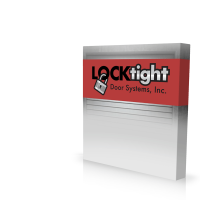 Lightweight aluminum and nylon mesh construction. 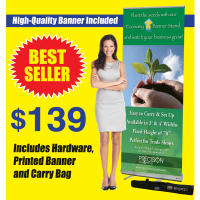 Includes nylon carry bag.